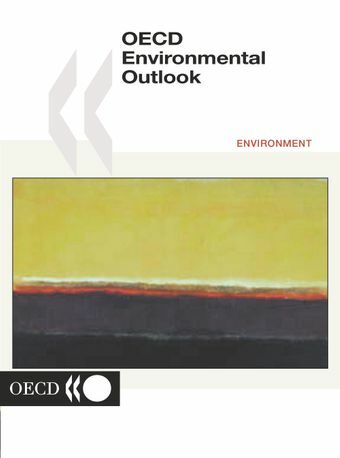 The OECD Environmental Outlook provides projections to 2020 of environmental pressures from key economic sectors (agriculture, forestry, fishery, transport, energy and selected industry sectors) and changes in the state of the environment for selected environmental issues (freshwater, biodiversity, climate change, air quality and waste). Cross-sectoral issues are also examined, such as human health and the environment, the social and environmental interface and resource efficiency. The OECD Environmental Outlook also assesses the underlying institutional frameworks for the environment, and identifies and examines the economic and environmental effects of concrete policy packages to address the main problems identified. The key findings of the report are summarised using traffic lights. These include a number of "red light" issues which need to be addressed urgently by OECD countries, but also "yellow lights" which require further investigation or some action, and "green lights" for which OECD countries should proceed with caution.This book has been named a Notable Government Document by the American Library Association. The report asks the question “What will the next four decades bring?” Based on joint modelling by the OECD and the Netherlands Environmental Assessment Agency, PBL, the report looks forward to the year 2050 to find out what demographic and economic trends might mean for the environment if the world does not adopt more ambitious green policies; and also looks at what policies could change that picture for the better. The report focuses on four areas: climate change, biodiversity, freshwater and health impacts of pollution. These four key environmental challenges were identified by the previous Environmental Outlook to 2030 (OECD, 2008) as “Red Light” issues requiring urgent attention. Act now or face costly consequences, warns OECD, March 2012. An Overview of the OECD ENV-Linkages Model: Version 3 - This document provides a detailed technical description of the ENV-Linkages model. The OECD ENV-Linkages Computable General Equilibrium (CGE) model is an economic model that describes how economic activities are inter-linked across several macroeconomic sectors and regions. It links economic activity to environmental pressure, specifically to emissions of greenhouse gases (GHGs). The links between economic activities and emissions are projected for several decades into the future, and thus shed light on the impacts of environmental policies for the medium- and long-term future. In this paper specific attention is given to the equations that form the core of the model. The version of the model presented in this paper is used for analysis carried out for the OECD Environmental Outlook to 2050. An updated version of the model is expected to play a key role in the OECD Cost of Inaction and Resource Scarcity: Consequences for Long-term Economic Growth (CIRCLE) project. (OECD Environment Working Paper No. 65, June 2014).